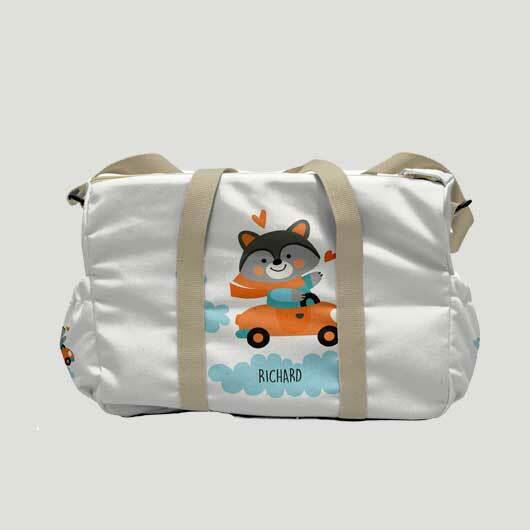 When traveling with the baby, it is common that you bring many kinds of stuff so it is quite demanded a big bag but also look interesting to be brought for strolling around. 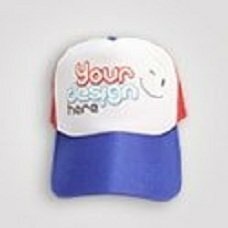 In custom, you can create a creation of bag appearance that suits your taste. 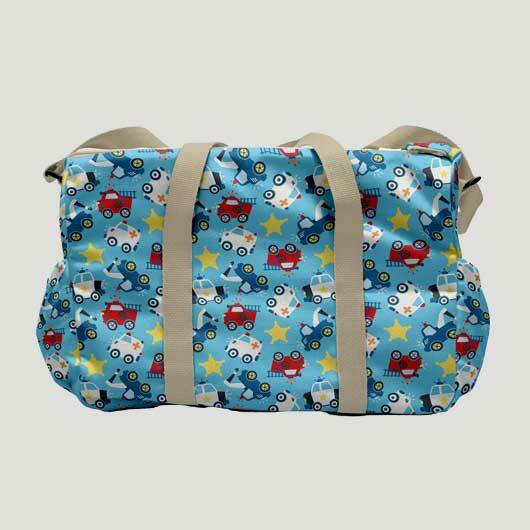 - Baby bag: Baby bag size 40x30x14 cm with 2 compartments and the small pocket on both right side and left side. Big compartment for loading big baby stuffs. The closing equipped with 2 zippers so it is easy to take the stuff inside. The small compartment on the front for small and frequently used stuffs with a standard zipper. 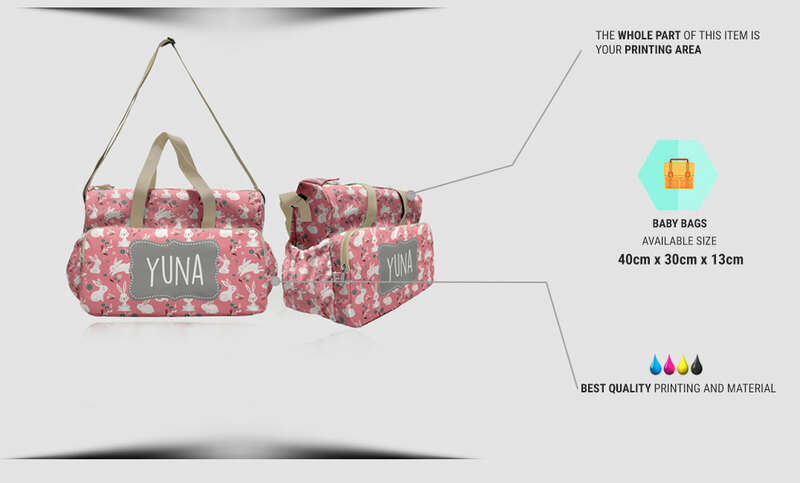 This baby bag is suitable for you who are concerned with function. 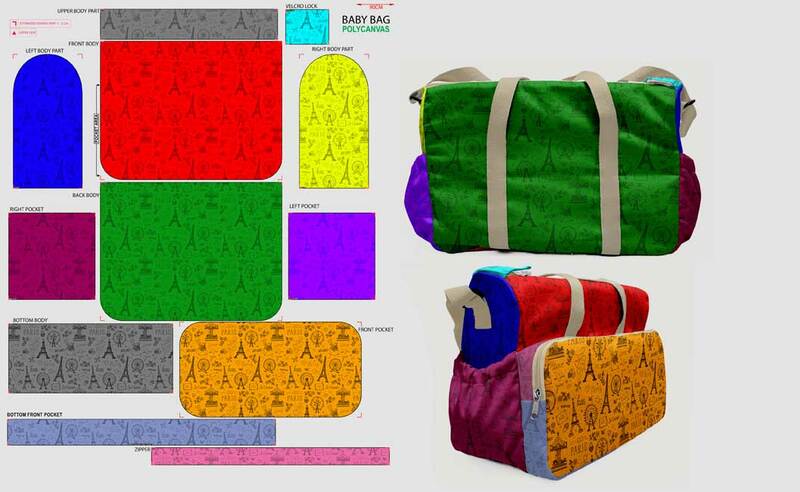 - Baby Boxy Bag: Square shape baby bag size 43x25x16 cm with 1 big compartment + 2 small pocket on both right side and left side. Both covered with a standard zipper. 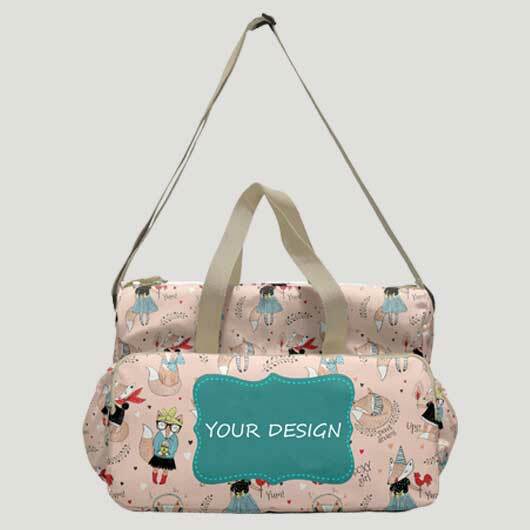 This baby bag is suitable for you who are concerned with shape and interesting appearance. 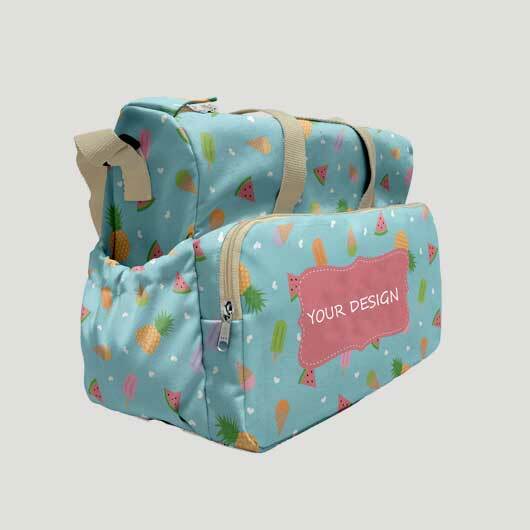 These bags are made of Poly Canvas, thick canvas fabric which is strong with doff color printing that rises elegant impression. This fabric is easier to be cleaned. 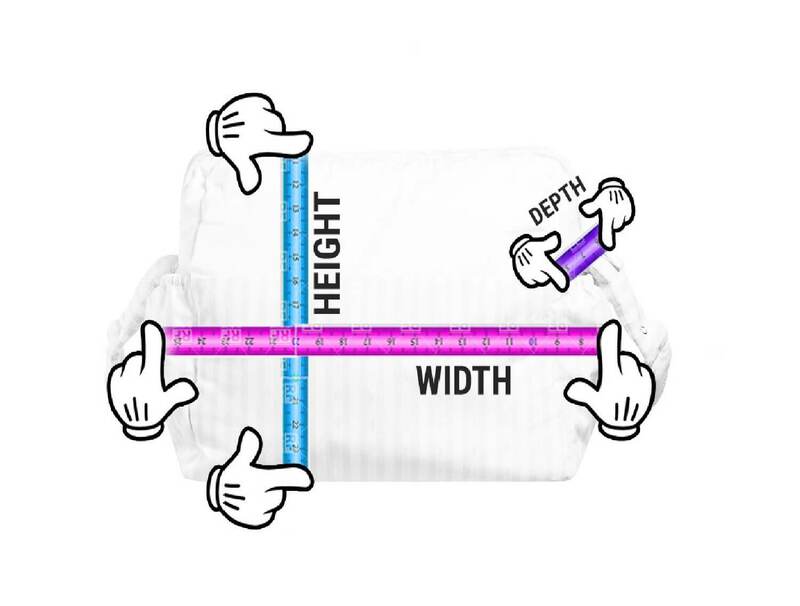 Order your baby bags today!